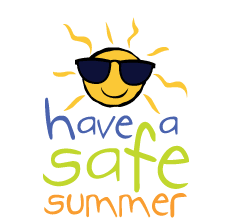 It's beginning to feel a lot like summer, and with the end of the school year comes endless sunny days. In a few short weeks, you'll be shutting off the television and shooing the kids outside for some fresh air and exercise. But before sending them into the backyard wilderness take a moment to look out for a few potential safety hazards that might be lurking between the fences. Below are a few tips that just might help avoid a potential trip to ER. Many people are familiar with the dangers of pool chemicals (which should always be kept out of the reach of children), as even a small amount can be toxic and potentially deadly. Follow instructions on pool shocking products to see when it is safe to resume swimming. Most homeowners are less familiar with the dangers of arsenic in some pressure- treated woods (which were phased out of production in 2003). To be safe, seal wooden structures like desks, playsets, and picnic tables once a year with a penetrating deck treatment and clean this type of wood with soap and water rather than using commercial deck washing solutions. Swings, slides, and monkey bars translate to hours of energy-burning fun for little ones, so make sure that you are giving them the safest equipment possible. Look out for protruding hardware, splintered wood, rust, and the occasional wasp nest. For the best shock absorbency after the inevitable fall or two, use sand, pea gravel, or recycled rubber mulch, making sure that it is 9-12 inches deep on leveled ground around and beneath all playset equipment. Replace any wooden seated swings with soft rubber seats to lesson the blow if accidentally hit, and position metal slides out of direct sunlight to prevent burns. 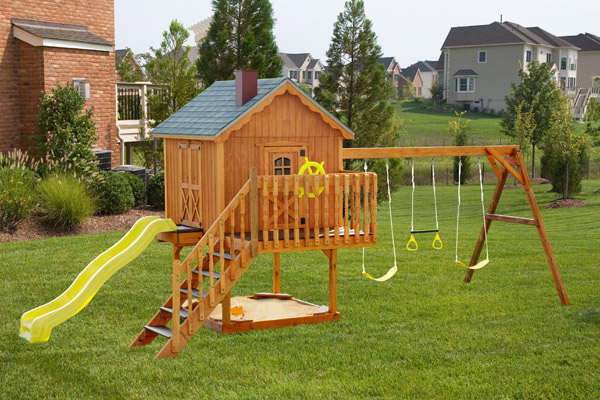 Avoid attaching ropes or chords to the playset, as these can easily create hazards as well. The Consumer Product Safety Commission estimates that over 90,000 hospital emergency room visits per year are associated with trampolines alone. You can lessen this statistic by only allowing one person on the trampoline at a time. 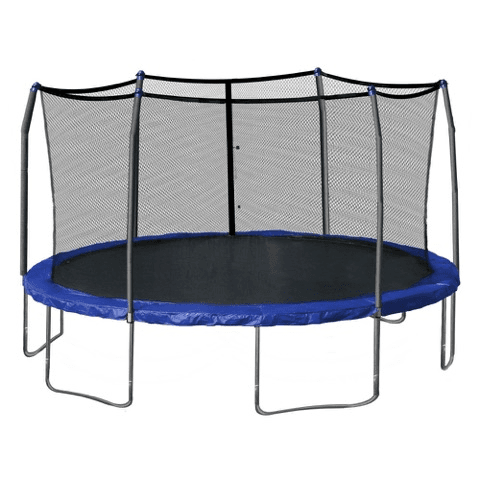 Do not use a trampoline without shock-absorbing material covering its springs and frame, and consider installing a vertical safety net to help prevent falls. Place the trampoline away from other play areas, trees, and buildings. Also, do not allow children to jump from another structure onto the trampoline. Without a doubt, swimming pools are among the leading sources of outdoor fun during the summer months. 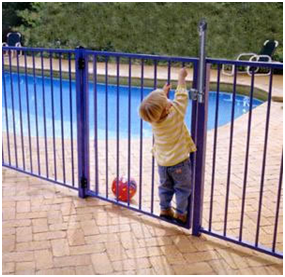 To help prevent young children from wandering or falling in, it is recommended that you install a 4-foot-high fence around your pool's perimeter with outward opening doors that securely latch shut. Keep rescue equipment close by, and consider installing an alarm that will be activated whenever someone enters the pool area. Spa temperatures should be set below 104 degrees Fahrenheit to help prevent heatstroke, and drain covers must be properly fitted to prevent small children from becoming trapped underwater. Most importantly, children should always be supervised while swimming or near the water.